A (not so) Desperate Hausfrau: Bible Study Rec. Between the craziness of the holidays and us being gone for 4 of the 6 weeks from Thanksgiving through the beginning of January and then being sick all of last week, my routine was all shook up and my quiet time became pretty much nonexistent. Thanks to some great antibiotics and being settled for a week, our life is looking somewhat normal and I am back in the Word and loving it! It's easy to slip out of the habit of spending time with the Lord each day but it's also so costly. I don't know about you, but I notice a huge difference in my spirit and my attitude when I have me some Bible time and when I don't. 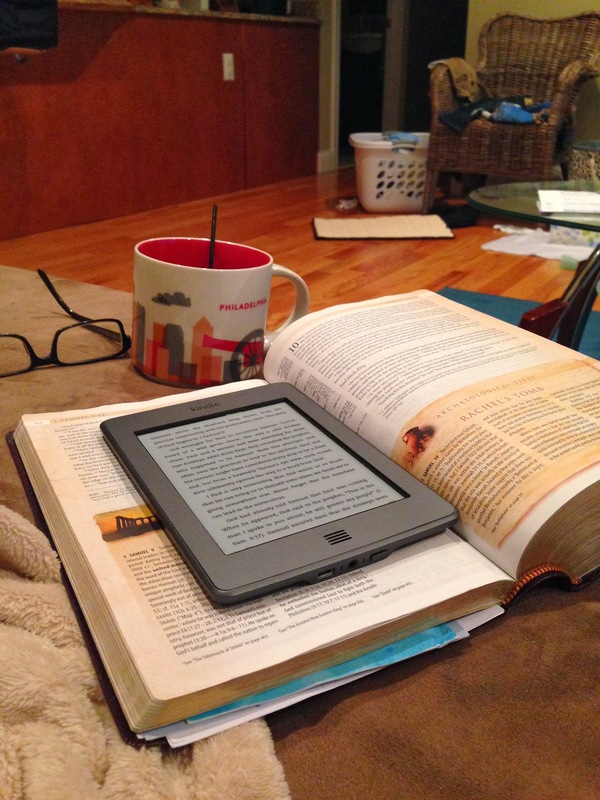 I went on the hunt last week in the Kindle Store for a new study to kick off 2014 and I came across Beth Moore's A Heart Like His: Intimate Reflections on the Life of David . Maybe you've never done a Beth Moore study, but oh.my. heavens. she is good. I love the way she digs in and breaks down scripture. Sometimes a devotional can be too much about fluffy, feel-good thoughts and not enough about God's actual words to His children, but Beth makes sure it's ALL about scripture and she presents it in a way that is easy to understand. I'll be honest, sometimes the Bible is not the easiest to muddle through, but Beth does a great job of really working through it and helping her readers do the same. And men, if you're thinking her stuff is only for chicks, think again. Luis actually did the David study several years ago and loved it. She can be a bit intense, especially if you watch a video of her (she seriously has more energy than anyone I have ever seen before!) but she knows her Bible and most of all she is PASSIONATE about her Creator which is something I have really come to appreciate about her and her ministry. If you need a kickstart to your quiet time, I highly recommend you check out this study, or anything of Beth Moore's for that matter. Last year I did So Long, Insecurity: You've Been a Bad Friend to Us and was really encouraged by it as well. Neither of the two I listed may interest you, but I encourage you to browse through her studies and see which one might fit best with where you're at in life and your walk.